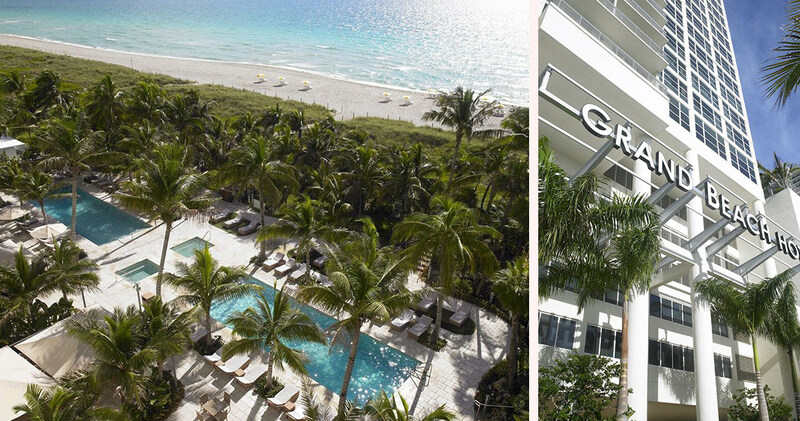 Located on Millionaire’s Row, Grand Beach Hotel overlooks white sandy beaches and is within easy reach of South Beach’s thriving nightlife. 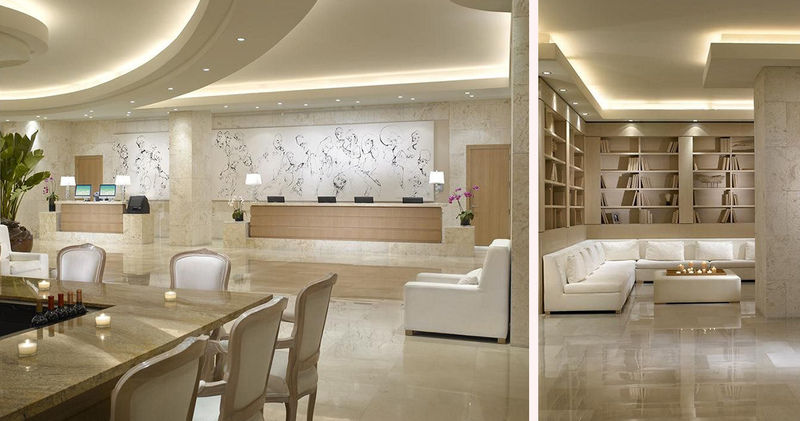 Its elegant lobby features pristine white furniture, a striking glass wall, grand pillars and marble tiling. The adults-only Tranquility Pool on the seventh floor boasts beautiful ocean views, while the hotel’s sophisticated library features white furniture and light hardwood finishes. 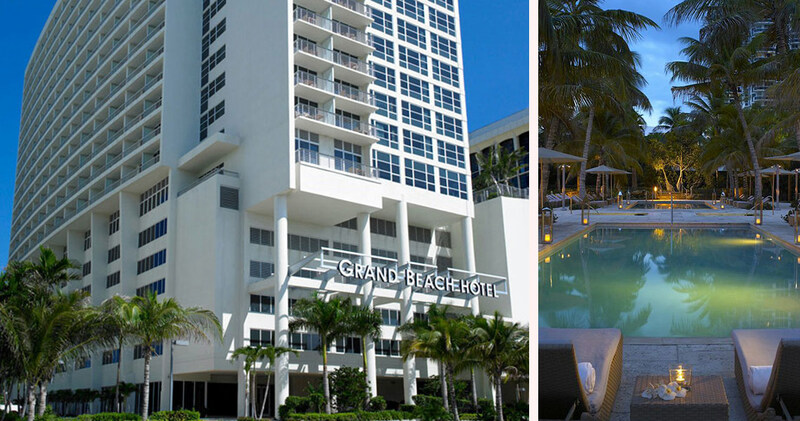 For the ultimate in relaxation, Hotel Grand Beach Miami even offers beach front hot tubs. With a casual yet classy atmosphere, the contemporary guestrooms at Grand Beach Hotel feature soothing neutral colors and light hardwood finishes. 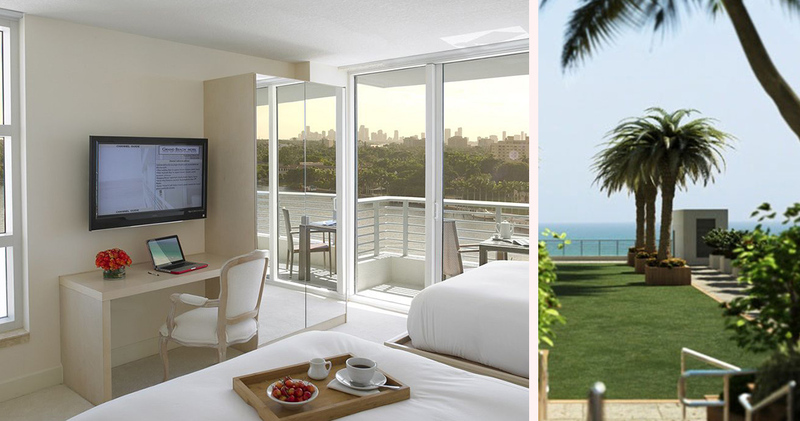 These spacious suites feature full-length windows with striking views of Biscayne Bay or the Miami skyline. 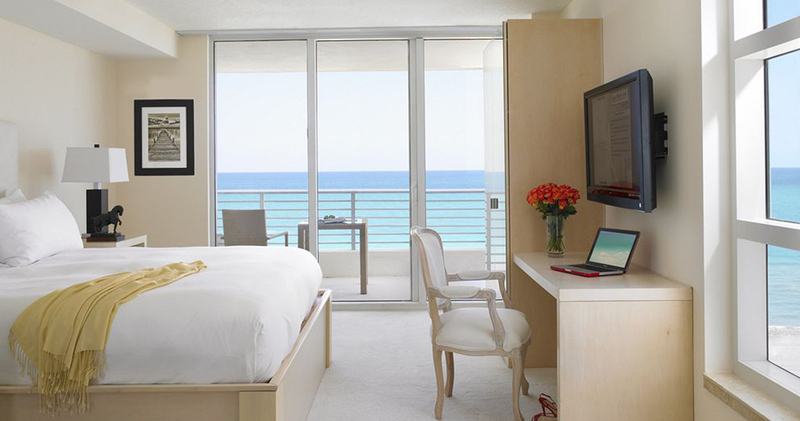 The large beds feature 350 count cotton linen and plush pillowtop mattresses. Each suite also has two 42-inch, flat screen TVs and a wet bar. 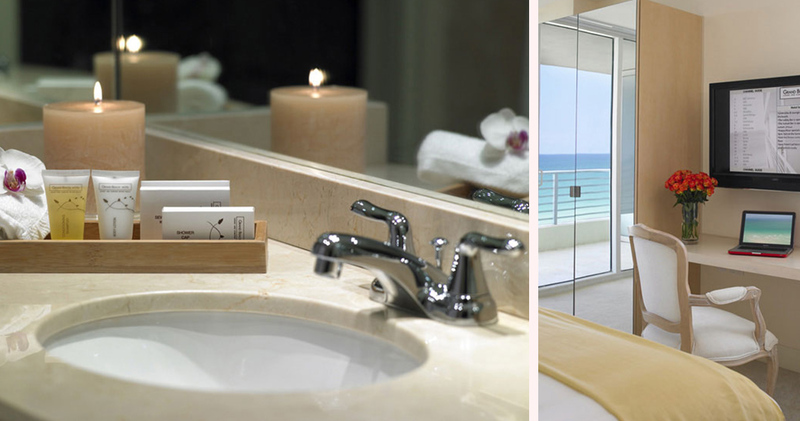 King rooms also enjoy two, full-sized luxurious marble bathrooms with deep soaking tubs and elegant finishes. Most king rooms also have a full sleeper sofa, private balcony and spacious storage. Grand Beach Hotel is home to the Chez Gaston restaurant. Serving a French inspired menu, this sophisticated restaurant has both outdoor and indoor seating. 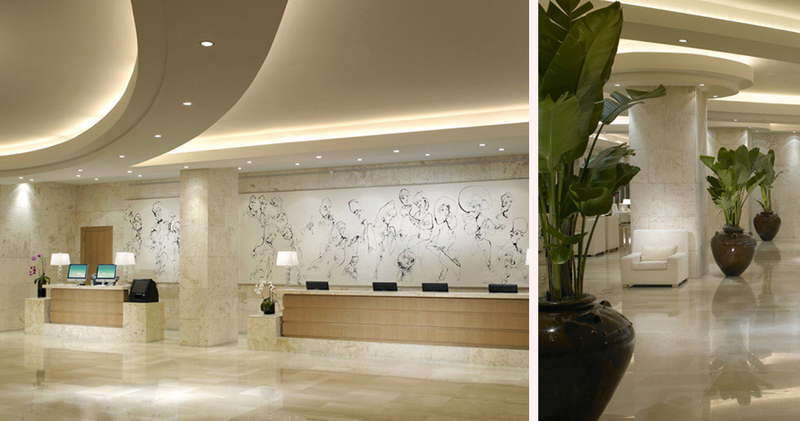 The Lobby Lounge is an upbeat, chic cocktail bar serving mojitos, tropical drinks and light snacks.